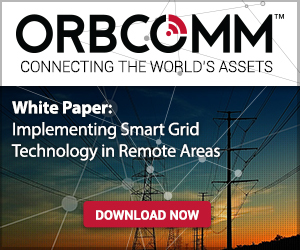 How is ORBCOMM’s technology used in smart grid applications? Our solutions are currently being deployed to remotely monitor and control reclosers and protection equipment used in smart grid applications, particularly in areas where cellular coverage may be limited or non-existent. In these cases, ORBCOMM’s solution monitors the status of equipment around the clock, making it possible for electricity distribution companies to keep a good handle of operations, with satellite used as primary or backup communications. Any time there is an issue with field equipment our systems alerts the control center. ORBCOMM’s solution supports two-way communications, so users can remotely trip or close a recloser, and ping the device to get information such as voltage, power factor, current and more. What are some of the pain points that drive electric utilities to implement telematics solutions? Communication failures between field equipment and the utility’s operational centers are the primary drivers. To minimize disruptions to the service, energy retailers must receive timely notifications when things like storms, high energy consumption and tensioning of the electrical system are detected. In these situations, a reliable connection with field equipment is critical. Cellular-based monitoring systems are prone to signal, saturation and coverage issues, as well as service interruptions in bad weather. That’s where satellite systems developed for mission-critical operations come into play. What are some of the benefits associated with using satellite telemetry systems in this industry? Satellite-based monitoring solutions allow electricity distribution companies to ensure proper operation of equipment in areas with limited cellular coverage, as well as add redundancy to important sites in urban centers. For energy utilities, some of the benefits include improved maintenance and quality indices, better allocation of protective equipment and lower investment and operational costs—monthly costs for competitive solutions are significantly higher. For the end user, it means fewer and shorter service interruptions. Who is the ideal customer for this technology? Our solutions meet the needs of big and small energy companies. The system can be used to monitor and control a small number of sites and is also versatile enough to accommodate a large deployment. Companies can expand the number of controlled reclosers as needs evolve, whether with satellite as a backup or as the main communication mode. What other competitive technologies are currently used to support this application? What are the advantages of ORBCOMM’s technology over those solutions? Radio technologies provide dedicated coverage with the use of transmission towers. Initial costs, however, are high as a comprehensive infrastructure is required as well as a specialized team for installation and maintenance. Coverage is also limited and does not extend outside of the infrastructure. There is also the likelihood that an issue in one radio can affect a large number of reclosers in the network. Cellular-based technologies offer low-cost data transmission rates but are not reliable. Interruptions in the cellular network are often common due to traffic congestion, network instability and bad weather. Energy utilities can simply not leave mission-critical processes in the hands of a connection that “may” work most of the time. Fiber optic is also an alternative but deployment costs are high. As with radio, it requires a complex infrastructure and specialized technicians. Once deployed, it becomes cumbersome and expensive to expand coverage. Regular satellite technology is more expensive and requires more maintenance that a technology developed specifically for unmanned, mission-critical applications such as the control and monitoring of protection devices like reclosers. Traditional satellite also requires a specialized team for installation and maintenance. ORBCOMM’s telematics systems do not require a complex infrastructure. Remote devices (terminals) are deployed to recloser sites as required—and the installation process is quite simple. These environmentally-sealed devices require no maintenance and can be configured and updated remotely over the air. Whether satellite or dual-mode (satellite-cellular), ORBCOMM’s terminals deliver uninterrupted, satellite connectivity around in the world. With this technology, energy companies have peace of mind knowing any issues in the grid will be reported and therefore addressed in a timely manner, regardless of location. 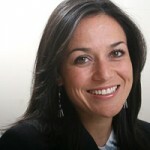 I have a pilot proiect in this field of Smart Grid am Energy distribution! The pilot proiect consist in 20-25 point Locater in 3 region of Romania, were is necesary to aquire data from the analogic or digital sensor and /or to command action! Please offer me suport for this pilot project!